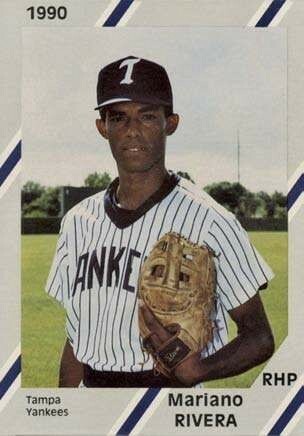 CARL EVERETT WAS THE PLAYER WE MOST WANTED IN OUR 1990 TAMPA YANKEES SET. 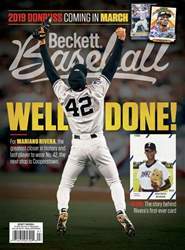 BUT IT WAS A LITTLE KNOWN UNDRAFTED 20 YEAR OLD PITCHER WHO PUT THE 1990 DIAMOND CARDS SET ON THE COLLECTING MAP. 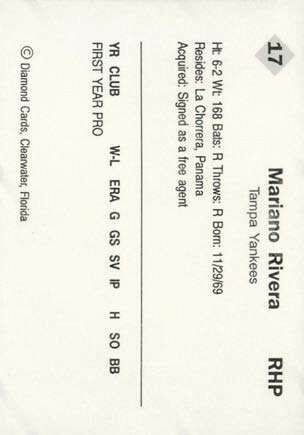 For several years, there have been questions about the 1990 Diamond Cards Mariano Rivera Tampa Yankees card. Where did it come from? How many were printed? Where is Diamond Cards now?